Join thought leaders in the still emerging big data space to glean insights on current topics, methodologies and opportunities in this critical area. When a $40,000 investment returns tens of millions of dollars, it is a story worth telling. How did it begin? By identifying a highly qualified, albeit unconventional, audience and driving production, interest and awareness using unique methods, we bring you this tale. It all began four years ago with the crazy idea of creating a Linux-based developer laptop by directly engaging the developers themselves. At Dell, the thought of creating a “niche” product, for an “obscure” audience, and doing it publicly, was a bit out of the norm to say the least. Given the uniqueness of this approach, if it weren’t for an internal innovation fund intended to ferret out wacky ideas, the project would never have gotten off the ground. When the project was pitched to the Dell innovation fund committee, its goal was described as raising Dell’s profile with one of IT’s most influential constituents, developers. The idea proposed was that by pairing a powerful operating system with a top-of-the-line ultra-svelte laptop that “just worked,” Dell could gain mindshare with this powerful group. Directly engage and involve the developer community. Conduct the project out in the open via public blogs and forums. After a period of deliberation, the innovation committee gave the avant-garde effort, christened “Project Sputnik,” the thumbs up. The team was given a small sum of money, the above mentioned $40K, and a countdown of six months, to determine if the idea of a developer laptop would take off. Rather than using a traditional press release, the effort was publicly announced via blog. In the post the community was asked to let Dell know what they would like to see in a developer laptop. The announcement made no promises, but said that if there was enough interest, Project Sputnik might become an actual product. As soon as the blog posted, feedback began pouring in. Based on the response, a beta program was subsequently announced. The Sputnik team had no idea of what to expect when they announced the beta program and were therefore shocked when they received over 6,000 applications from around the world clambering to participate in the beta program. 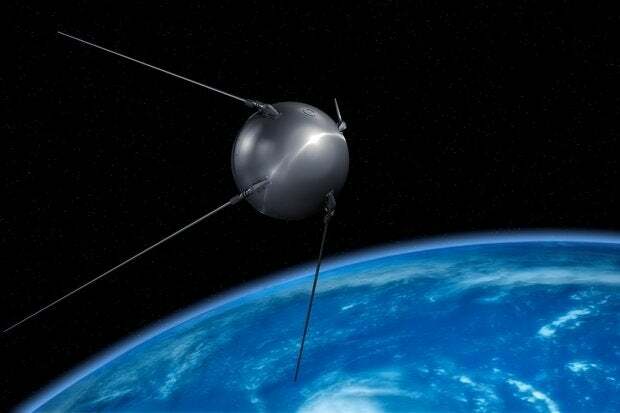 That response was the tipping point and soon after that reception, it was announced that Project Sputnik would become a product. Eight months following the initial Power Point presentation, the XPS 13 developer edition was launched. As the project has progressed, the team has continued to solicit and incorporate feedback from the community. This continuing interest has helped drive the program forward and the XPS 13 developer edition, now in its fifth generation, has gone from one to multiple configurations. The program also added a larger, more powerful laptop to the line-up which, over the last couple of years, has grown from one available system to five available developer systems. 1. Get a champion, be a champion – You need high level sponsor, someone people listen to, to go to bat for you and provide the necessary air cover internally. At the same time, the ground war is yours to wage and you must be ever vigilant. 2. Leverage, execute – It doesn’t matter if it’s not your idea, delivery is what counts. 3. Start small – Don’t over promise, err on the side of caution. 4. Speak directly and be transparent. When interacting with the community you need to be both human and humble. 5. No one is perfect – It’s not if you’re going to make a mistake, it’s how you recover when you do. Barton George is a Senior Technologist in the Office of the CTO at Dell.